Debt is never a good thing to have, and it can affect how we live. 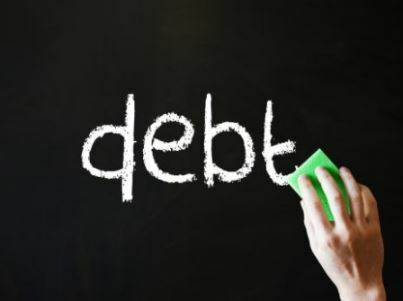 According to a report from 2015, the average Canadian owes $22,081 in consumer debt ($32,594 for Canadians 46 to 55 years old) and it is growing more with each year. Luckily there are several ways to get relief from debt. If you’re stuck on where to start, think of a ladder. Start at the first rung and if that doesn’t work for you, then go up one. The rungs go from basic (simple loans) to the “nuclear option” on the highest level. Debt consolidation loan from bank or other lender. They give you one big loan, you pay off the credit debt, with the benefit being much lower interest as you repay the loan. (10-14% is the usual range, sometimes as low as 9%, compared to the usual credit card interest rate of 20%). Much lower interest, reducing the actual amount of debt you must pay. Enables faster debt repayment if possible. May qualify for a tax deduction. Kind to your credit score if paid off sooner. If using secured loans, then your assets might be at risk. *It’s important not to terminate all your existing credit when taking on this type of loan—this increases your ratio of debt to available credit and will lower your credit rating. No-interest payback of your debts. You pay back the debts without paying for interest. This can be arranged by non-profit companies, such as Credit Counselling Society of BC. You pay back exactly the amount you borrowed—saving thousands of dollars in interest over time. Several companies use the monthly repayments to fund loans for other people so your money is helping out other people in the process. May have a time limit (about at least 2 years). File a “Consumer Proposal.” This is a more radical method, and through filing the proposal, you need only to pay a portion of your total debt–as low as 15%. You work with a trustee to prepare for the proposal (they do almost all the work) and if it’s accepted, the trustee will administer a payment schedule with the creditors, so that you pay this portion of your debt, or extend the time needed to pay off the debts. Repay less than you owe. One of the easier routes to debt relief. Debts are reduced and controlled. You are allowed up to 5 years to pay off your debts. Fees for filing the proposal are almost always included in the proposal payments and not charged as an additional amount. Can allow you to accelerate your payments and pay it off early, if you are able to generate more income to do so. Have the option of going to bankruptcy if your situation changes. Offers higher recovery to creditors than a bankruptcy. No monthly income and expense reports to fill out. Can be filed jointly with other family members with whom you share liabilities and/or expenses. Not required to report your income to the trustee and also don’t lose your income tax refunds for the year of filing the proposal. When the debt is 7 years old, can be used to discharge student loan debt. Not required to acknowledge bankruptcy in future if landlord or employer asks. R-7 credit score remains for 3 years following end [vs a R-9—a lower credit score–for 6 years for bankruptcy]. Creditors approve the proposal at the beginning of the process—no court hearing at the end to determine if your debts are gone. You can keep credit cards with nil balances. Assigned a low credit score (R-7), which will also remain on your credit report for 3 years after your proposal ends. So it may negatively impact your credit score for 5 years or longer. If majority of creditors vote against your proposal, then you may have to file bankruptcy–but this is not likely, since a licensed trustee would not put a proposal forward if chances of acceptance are poor. Not private–but not really public either, if someone wants to find out if you have filed a CP, they must file an inquiry and pay an $8 fee. Some creditors may not accept your proposal. But if the creditors owning the majority of your debt (40% or more) accept the proposal, then the other creditors have to accept it as well. If you default (miss 3 payments) on a proposal, then you will not be able to file it again. The creditors would be now free to start collections for your debt. The ‘nuclear option’: filing for bankruptcy. If all other methods are exhausted and you are stuck, then this is the last option. Don’t feel bad if you have to declare bankruptcy, it happens to many people. In 2016, according to Bankruptcy Canada, about 125,878 Canadians filed either personal bankruptcy or a consumer proposal during the year. Businesses go bankrupt all the time–over half of all new businesses go under and declare bankruptcy. According to a report from the Government of Canada, the average number of Canadian businesses filing for bankruptcy was 4,000. And in fact, it isn’t really bad as it sounds in some cases. It’s more like a fresh start for many people and allows you to reorganize your finances to plan for a better future. The calls from the creditors will stop—they are no longer able to contact you for debt collection. After being discharged from the bankruptcy, the debts will be gone. Will give you a target date for a clean credit report. Creditors can’t refuse the bankruptcy. Budgeting and money management counselling is provided. Possible to keep substantial assets, including houses and cars, although the car must be leased and you must have as little as possible equity in order to keep your house. So if the value of your house is similar or lesser than to the mortgage’s value, then you are able to make an arrangement to keep it. Your furniture (except for valuable art and antiques) will not be seized. Your RRSPs (except for contributions made in the last 12 months) are not allowed to be seized, either. Yes, it costs money. In Canada, the average cost of a bankruptcy is at least $1,800. You have to make payments based on your income. You must make regular payments and reports and attend credit counselling sessions, in order to get discharged from your bankruptcy. Creditors can oppose discharge and a court hearing could be required to get out of bankruptcy—although this does not happen very often. Tax refunds turned over to the creditors. GST credits are turned over to the Trustee. May affect ability to secure certain employment positions.